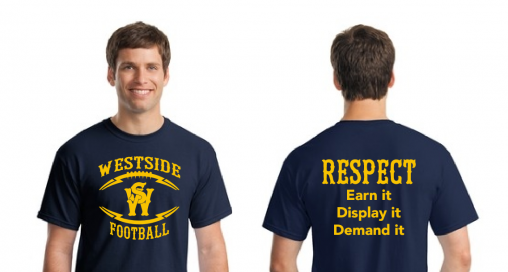 Are you ready for some West Seattle High School football? The coaches, players, and parents at WSHS are. The student athletes and the community are excited for the reveal of the 2017 Wildcats … and there is a lot to be excited about. The players have been working hard since June to get ready for this season under new head Coach Marcis Fennell. Coach Fennell is developing a culture within the WSHS Football program that prepares young people for the rigors of life through education, technically develops athletes to excel in the sport of football, instills values that will assist in producing men and women of character, gets the team involved with the West Seattle community and continues to cultivate the long tradition of Westside Pride! As the new coaching staff enters its first season, one of their driving initiatives is to provide a positive and safe experience for all students. To facilitate this, we are asking our community, friends and families, to donate to our program. Please understand that all proceeds will directly benefit the student athletes and their experience in the Wildcats Football program. Donate directly to the Football Booster club at our Booster Club for Cats Football GoFundMe page. Our awesome 2017 WS Football Kick-off t-shirt (you can get one with a blank back as well) for $25 each. 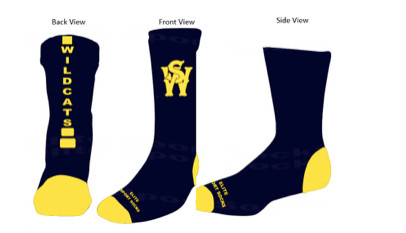 Our cool Elite West Seattle Wildcat socks for $24 a pair. **To pre-order your T-shirt and socks, contact lildeerpaw@hotmail.com with cash or checks payable to the WS Booster Club. Thanks, all supporters of the Wildcats football program! Every cent donated will assist the coaches and staff in pouring love and education into our young people through the sport of football! We look forward to seeing you on Friday nights in the Fall! Don’t forget to put on your calendars that the first game is September 1, 2017 @ 7:00 pm at SWAC! Note: The full season schedule can be seen here; if you missed our interview with Coach Fennell after the March announcement that he was joining WSHS, see it here.